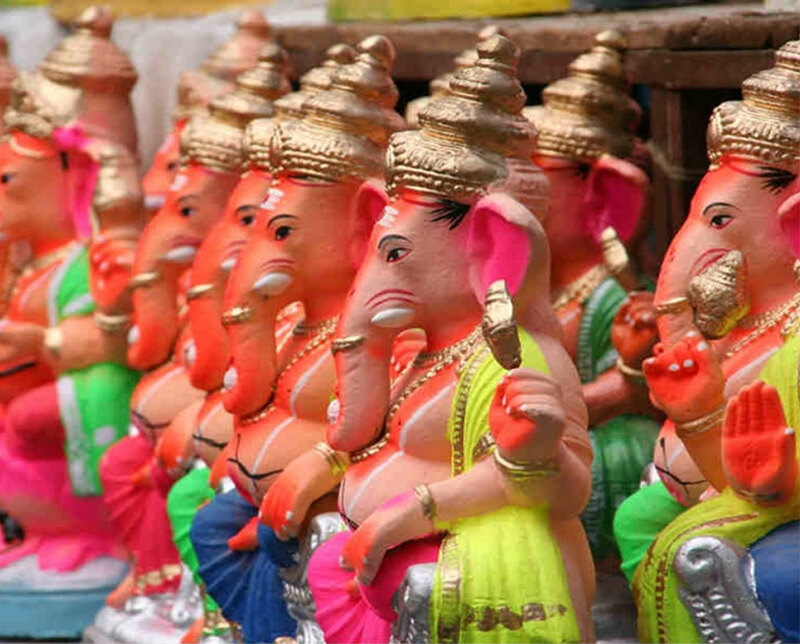 The ten-day long Ganesh festival kicked off with zeal and fervour across Maharashtra Thursday. The festival began with devotees, mostly attired in traditional clothes, bringing colourfully-crafted idols of the elephant-headed God in their homes and pandals and installing them amid chants of 'Ganapati bappa moraya', beating of drums and and sprinkling of 'gulal' (red coloured powder). Several beautifully decked up pandals have been erected in all major cities and towns in the state, including Mumbai, Pune, Nashik and Nagpur, where huge idols of Lord Ganesha have been placed on raised platforms for people to worship. These makeshift tents also serve as a venue for promoting social causes such as free medical checkup, blood donation camps, charity for poor during the festival days. Maharashtra Governor C Vidyasagar Rao and Chief Minister Devendra Fadnavis extended greetings to the people of the state on the festive occasion. Ganesh Chaturthi, also known as Vinayak Chaturthi, is celebrated across the country as birthday of Lord Ganesha which comes to an end after 10 days when people come out in large numbers for immersing the idols in the sea or in different water bodies. The festival sees devotees offering to the deity various sweets as prasad, of which 'modak' (sweet rice flour dumplings filled with coconut and jaggery) is an integral part. According to the Hindu mythology, modak is believed to be Lord Ganesha's favourite sweet. As per the rituals, 21 modaks are offered to the God and eventually served to devotees. In view of the festival, police across the state have beefed up security. In the state capital, at least 15,000 security personnel will keep a vigil during the festival. Along with the personnel of local police stations, the Local Armed Police, State Reserve Police Force (SRPF), Riot Control Police, Quick Response Team (QRT), Bomb Detection and Disposal Squad (BDDS) and the Civil Defence force will be deployed across the city, Mumbai police spokesperson, DCP, Manjunath Shingte, told reporters Wednesday. Altogether 500 CCTV cameras have been installed at various locations in the metropolis for security, he said. The festival will conclude on September 23.